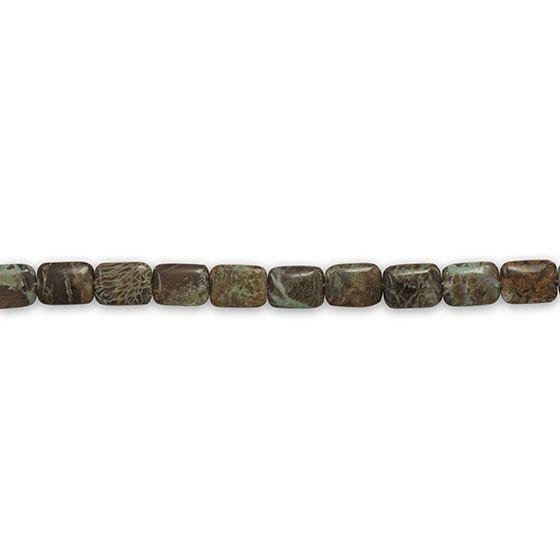 Strand of 15mm x 19mm Aqua Terra Jasper beads. Each 16″ strand has approximately 20 beads. This is an unfinished product and will contain no findings.